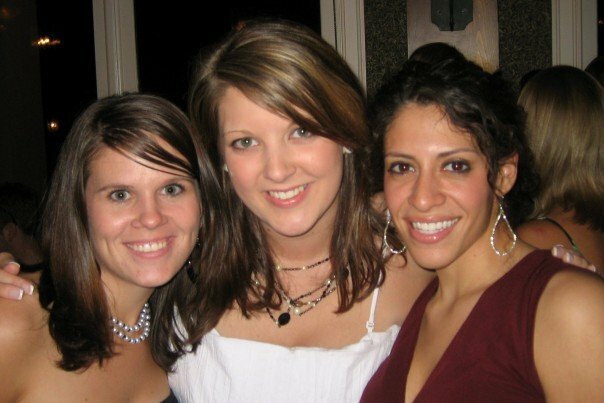 Me, Jen Taitt, & Jenny Potts–this is actually in 2007, I don’t have digital copies of us in 2005. I enter my sophomore year in college with freedom I never thought possible! I was counting the months that it had been since I saw my ex boyfriend. Each day and month was a victory for me! I couldn’t wait to say I hadn’t seen him for a year! The first semester was pretty uneventful. There were no boys in my life, which was great. 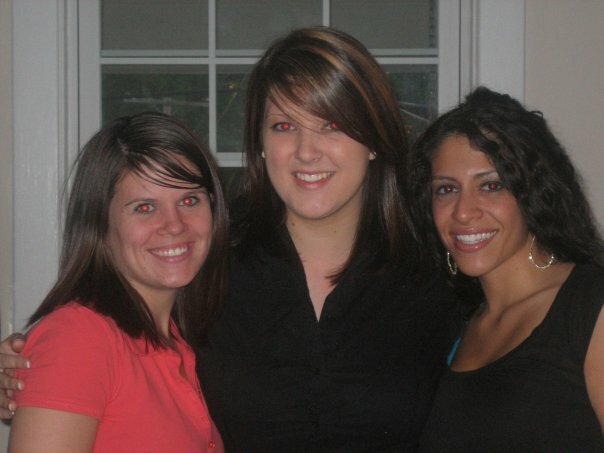 I was great friends with Jen Taitt and Jenny Potts. I was focusing on my schooling and Jesus. In Jan. of 2005 Jen, Jenny and I met a guy who we all became really close friends with. We all hung out, worshipped together, studied together, ate together and just did everything together. It was a really fun semester full of friends and living life. I also met a family that semester who I was able to minister to in amazing ways! They had 4 children and Jenny and I basically were able to pour into their lives for about 4 months. We spent the night, we cleaned, we cooked them dinner and we took them to church. And we really started to appreciate our parents, alot! Taking care of kids is a HANDFUL! But we totally enjoyed it. I really liked this guy that we were hanging out with. But this was the first time in my life I really wanted to let God have His way. I wasn’t going to manipulate things, I wasn’t going to try and see if he liked me. I was just praying and letting God have his way. So my heart was really free. My heart was in a great place. I wanted more then anything to please God with my relationships since I hadn’t done that ever before. So we hung out for about 8 months, and it was a great 8 months. God did so much in my life and taught me sooo much. At the end of everything, the Lord clearly spoke and showed me that this was not the man I was supposed to marry. Which was fine by me because I was able to keep my heart pretty free! During this time I was seeking the Lord, but wasn’t totally sold out. I just didn’t know what I was supposed to do to completely live for the Lord. Things in my head weren’t compeltely connecting to my heart. But I knew there was more to this thing we called Christianity. And the Lord was about to completely turn my life, and my heart upside down! These were just the events (very important) events that led up to it! More to come in a part 4! I’m 18, looking forward to the next four years of higher education. Looking forward to a new season of life with God. I’m peering into the future of life at Liberty University, a Christian college, and hoping and praying for the old things to pass away. I know this is what God has spoken, to go to school 900 miles away from home. To leave behind my parents and family. To leave behind the (kinda) ex-boyfriend, to leave behind the compromising Christianity that I had been giving myself to. And I wanted to. Oh how badly I wanted to leave the boyfriend and the compromise behind. I was tired and weary of living life my own way. I was tried of never being satisfied and living in a way I knew was wrong. I excitedly packed my car and my dad’s car full of all my things. I have this excitement pumping my heart and this expectation of the new things to come. I drove my car the 5 miles from my house to my mom’s work. I run in and kiss her goodbye and head out the door seeing the goal within reach. Only 18 more hours! I could do this! It was happening! I skip back to the car and start the engine. And nothing. My car won’t start. Oh but let me tell you, something as little as that won’t stop me from getting there. No sir. I unpack mine and my dad’s cars, pack the essentials all in my dad’s car, leave some things behind and we continue on our way. The trip took a while. But we finally pulled up to my dorm. We unpacked all my things. I kissed my wonderful daddy goodbye. And then after he drove away I curled up in my unmade bed, in the new building, with the new people, and cried. And so begins my journey from compromising Christianity to a radical lifestyle of love.